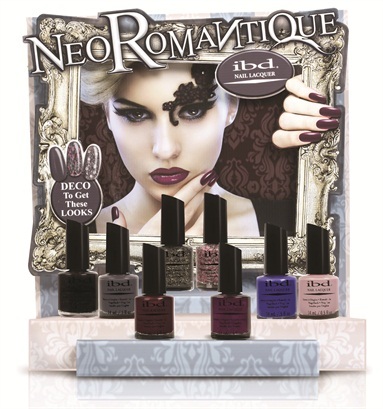 Inspired by the artistic movement that exemplifies romance, luxury, and fantasy, IBD introduces the Neo Romantique Collection. Hard avant-garde elements meet soft femininity in this eight-piece collection that features six highly pigmented creams and shimmers, plus two art deco glitters to add an element of intrigue to any manicure. For more information, visit IBD . A regular service required to maintain artificial nails; sometimes called a rebalance.